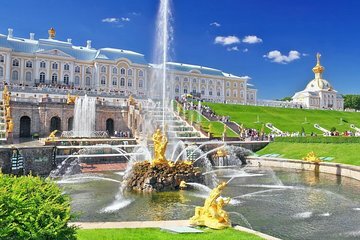 The “Russian Versailles” Peterhof is located outside of St. Petersburg, and you can visit easily on your cruise ship stop on this half-day tour. Depart from the port or your hotel in a private van and travel to Peterhof with a guide. Admire the luxurious interiors and stroll through the fountains of the Lower Gardens. Make use of headsets to clearly hear your guide.